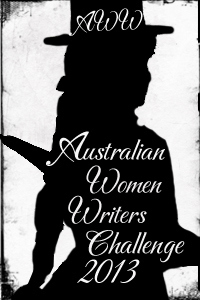 My reading mojo took a holiday in November (because this) but the books which got me back in the saddle were the latest instalments of two of my favourite series by Australian women crime writers. The present-day world, even in fictional form, proved too darned depressing lately but visiting these bygone eras evocatively brought to life was just what I needed. 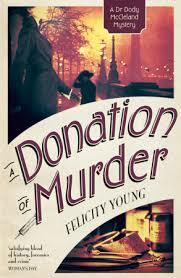 The 5th instalment of Felicity Young’s series set in that awkward period that isn’t quite within the Edwardian era but is before the start of WWI is A DONATION OF MURDER. Perhaps not surprisingly given that it’s 1914 and talk of war is everywhere, the book is a little darker than its predecessors. But just as good. Here Dr Dorothy ‘Dody’ McCleland is performing a routine autopsy when her subject wakes up! Dody feels somehow responsible for the woman’s plight and takes her home for the night after she reveals that escaping a man was what led her to be picked up as a frozen dead body from the street. But, naturally enough, things are not what they seem Dody is exposed to a seamier side of London life than she’s used to. While all this is going on Dody’s lover, Chief Inspector Matthew Pike, is wrapped up in a case involving brutal burglaries and also has to worry about betrayal from within his own force. I love the way the two lead characters of this series are developing both individually and as a couple (they are a couple even if they have to hide their relationship from many people). They are both realising that compromises have to be made if they are to be together more formally and the way they both approach this notion is well drawn as they display the conflicting feelings that compromise brings with it. As is always the case with this series readers are introduced to an aspect of life in the era which is fascinating and troubling all at once. Here we see the operation of a criminal gang and the lack of value gang leaders place on the lives of those that work for them. And, of course, it’s a ripper of a yarn. 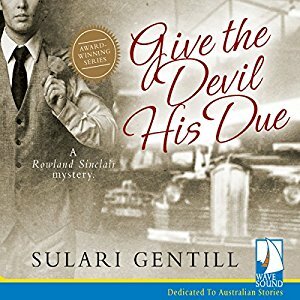 The series hero, Rowland Sinclair, is to drive his much-loved S-Class Mercedes in a celebrity race for charity at Sydney’s Maroubra speedway (known in the book and in real life as a “killer track”) but he’s barely driven a practice lap before a journalist who interviewed him about the race is found murdered. One of Rowland’s best friends and housemates comes under suspicion of the murder so the whole gang must once again put their sleuthing skills into action. There really is nothing I don’t love about this series – the characters, the cameos by real people from history, the humour – but I was particularly struck this time by how much history can teach us (should we choose to learn). One of the recurring themes it explores is the rise of fascism in the 1930’s and what steps can be taken by those who are fearful of it to get others to see what is so troubling. Here Rowly elects to put on an exhibition of paintings inspired by his trip to Germany and the brutality he saw and experienced there (detailed in PAVING THE NEW ROAD). This puts him at odds with his brother and many people in the community who just can’t see that things are as bad as Rowly and his friends know them to be. This element of the novel feels eerily (and sadly) relevant to what’s going on in the world today. Rowly has a pretty rough time of it in this instalment – both physically and emotionally. There’s a truly poignant passage in which he discovers that one of his artistic heroes is anti semitic and this really puts poor Rowly in a spin but I love the way Gentill depicts this and shows his friends helping him to deal with it. And, of course, it too is a ripper yarn. What both these books and the series they represent have in common is that they are terrific examples of the historical crime genre. They offer interesting insights into their respective eras, compelling storylines, really well drawn characters who have foibles alongside their nicer traits and a view of the world that is hopeful without ignoring life’s harsher realities. Read ’em both, you won’t regret it. I’m counting these as book 18.5 and 19.5 that I’ve read and reviewed for the fifth Australian Women Writers Challenge (one book was written by a father daughter team so I’m only counting it as a half). For more information about the challenge check out my challenge progress, sign up yourself or browse the Challenge’s database of reviews. This is 2008 review of a book called A CERTAIN MALICE that I originally posted to my other blog but I’m re-publishing it here and now because the book has been re-released in eBook format under a new title: FLASHPOINT. This is in preparation for its never before published sequel FLAREUP being published in February this year. That’s great news all round. Back in the day I used to give ratings out of 5 and this one scored a 4.5 so I’m keen for a sequel. 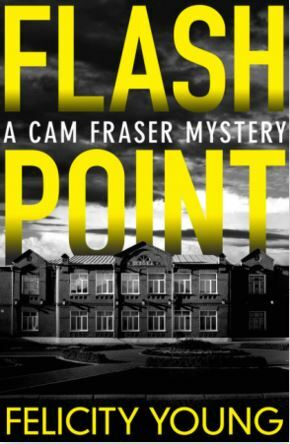 Cam Fraser is a former National Crime Authority officer who, with his teenage daughter Ruby, has moved from Sydney to become Senior Sergeant in the Western Australian country town of his birth. Almost as soon as he arrives a building at a private girl’s school in the town is burned down and a body is discovered in the ashes. To investigate the crime Cam has help from a squad of rookies and one experienced officer who is the subject of a series of complaints. In addition both he and his daughter are still recovering from the tragedy that led to them leaving Sydney. Fortunately for me this book was well worth the four months it took to track down a copy of it. The story is believable, has a well paced suspense and rates highly on my ‘readability’ scale which is a vague term I use to describe how interested I am in turning each page. I finished the whole thing in two sittings and I’m not even going to complain that one of those sittings kept me up until 2:00am on a school night. I simply had to know if my predictions for whodunit were accurate which is always a sign of a good read (for the record, they weren’t). Although recognisably Australian in its setting and language the book achieves this state naturally. Sometimes with Australian books I cringe at the use of colloquialisms that would only be found in a Paul Hogan ad and never in real conversations. FLASHPOINT achieves its Australian sensibility beautifully and without appearing to try too hard. I quickly became engaged by the protagonist and the minor characters, especially the troubled Ruby and rookie cop Leanne, who all seemed very credible. It was also interesting to see the sub-plot with Vince develop in a more realistic way than some of the ‘cops protect cops at all costs’ plots that have permeated crime fiction for years. On top of all this the book is less than 300 pages, an increasingly rare occurrences in modern crime fiction so something to be treasured indeed. In Edwardian England the suffragettes are so frustrated at the lack of success they’ve attained via political means that they introduce a more militant form of campaigning. Unfortunately their decision to blow up a building – criminal enough in its own right – becomes disastrous when it claims human life. For Dr Dody McCleland, a female autopsy surgeon, the case proves problematic as her own sister was involved. Thinking he is doing the right thing Dody’s friend (and not-so-secret lover) Chief Inspector Matthew Pike arranges for Florence’s release from prison, though the ‘rest home’ to which she is sent in replacement is scarcely less harmful to its inmates and Dody and Matthew are soon uncovering truly appalling practices. Doctor Fogarty says reading’s the very worst thing a woman of delicate inclinations should be doing – it’s one of the reasons so many women get themselves into trouble these days. So to answer your question, no miss, we have no library here. While there’s always a gentle undercurrent of humour, here much of it provided by a delightfully larger-than-life character called Lady Mary who is the mother of a nobleman and regular escapee of the facility that Florence ultimately attends, serious issues are handled with deference and intelligence. While the treatment of women is, as always, the main topic being explored the broader social context of class and racial injustice is also much in evidence. Equally as intriguing as the historical setting are the characters. In contrast to her younger sister – the impulsive, well-meaning but sometimes thoughtless Florence – Dody McCleland chooses to advance the cause of women by being the kind of woman she thinks everyone should have a right to be. She has fought to gain her qualifications and has taken on the only work available to her but always performs it to the best of her abilities. Her personal life is not straight forward either as she must keep her relationship with Matthew a secret (or try to) even from some of the people she loves. Matthew too has to balance his professional duties with the expectations others have of him and the social norms of the day. These, for example, prevent him openly promoting a person he thinks most qualified because Constable Singh is a foreigner and his very presence in the Force is cause for unrest. I really enjoy the way Young has developed these two central characters and kept them growing and responding to the world around them. I’m also pleased that this series hasn’t become one of those with an unresolved sexual tension at its core. Although their relationship is a difficult one Dody and Matthew’s is at least a realistic one. It’s probably hard for me to judge as I’ve devoured this novel’s predecessors but I do think you would be able to read THE INSANITY OF MURDER independently as it’s a stonkingly good story in its own right. Its historical context is worryingly credible, its characters are charming and real and the suspense builds nicely towards a surprising ending. What are you waiting for? THE INSANITY OF MURDER will be officially released on 1 August. 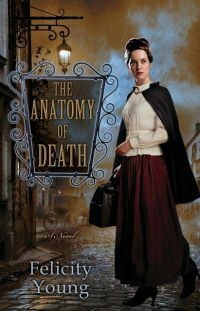 Set in Edwardian London, this fantastic mystery series features Britain’s first female autopsy surgeon. career, but also for her life. The body of a scullery maid is discovered in her room. When it emerges that she had recently begged Dody to terminate an unwanted pregnancy, the coroner recommends Dody be tried for criminal abortion causing death. Meanwhile, the one man who might be able to help her, Chief Inspector Matthew Pike, is nowhere to be found. life ends on the gallows. 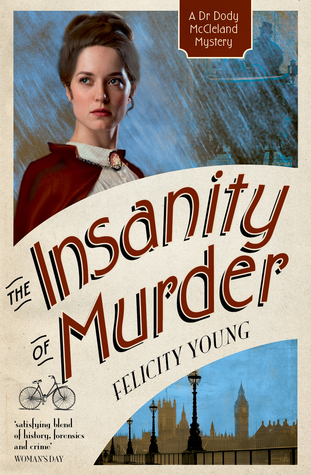 Australian crime fiction author Felicity Young does a good job with a historical setting, giving her novel a feeling of authenticity, at the same time presenting the problems which women faced in the medical profession in the early 20th century. Set in London in 1911, when conducting an abortion is a criminal offence, and encouraging women to practice birth control is also illegal, Dody assists the famous Sir Bernard Spilsbury in autopsies. But even with the great man’s patronage, she treads a very thin line as she advises women towards better contol of their child bearing. Dody faces not only public opposition to women like her breaking into the professions, but also opposition among males already working there. And treachery comes from an unexpected place, almost resulting in her death. You know that a fictional character has really gotten under your skin when horrid things that happen to them keep you awake late into the night. So it is with Dr Dorothy ‘Dody’ McCleland, the autopsy surgeon who has appeared now in three of Felicity Young’s historical mysteries set just after the official end of the Edwardian era in England and whose latest escapades made me worried and wakeful several nights this week. 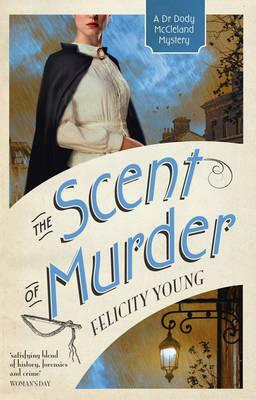 In THE SCENT OF MURDER Dody is playing chaperone for her younger sister Florence who has followed her new beau, Tristram, to the country home of his uncle, Sir Desmond Fitzgibbon. Tristram, a budding archaeologist, discovers a skeleton on his uncle’s property and asks Dody to determine the age of the bones. It is when she pronounces the bones belong to someone recently deceased and insists on informing the local police of her suspicions of foul play that things become truly dangerous for Dody and some of her housemates. One of the (many) things I adore about Dody is that she is a very practical feminist. While her sister and the radical suffragette group to which she belongs have been busy waging their version of a political war, Dody has gotten on with forging the life and career she wants, and though the compromises she’s had to make are frustrating they’re undoubtedly realistic and give her character a more credible sensibility than some of her fictional colleagues (e.g. Ariana Franklin’s medieval medical woman Adelia Aguilar). In this novel Dody is subjected to a particularly horrendous incident in addition to the usual patronising behaviour and misogyny she encounters but Young resisted the urge to be heavy-handed with the sensitive subject matter which, for me, makes it all the more believable (hence the lost sleep). Young’s lightness of touch is also evident in her storytelling. It is entirely possible to wholeheartedly enjoy the book simply as a historical whodunit with the requisite amount of adventure and lush period detail. The book does explore social and political themes, including but not only the general treatment of women at this time in history, but these never take on the feel of a lecture as happens with some novels. Because the whole series takes place at a time when English suffragettes were at their most active one thing that connects each instalment is the exploration of how the disenfranchised are treated by society. Here that theme takes a different turn when action eventually leads to a local workhouse where the best that the impoverished children forced to live there can hope for is to be treated with shabby indifference but far more likely is a harsher form of abuse. Many of the adults involved the management of the workhouse behave as if it is their right to perform such abuse, a scenario not that dissimilar from what must have been the circumstances for decades in many of the institutions currently the subject of a Royal Commission in my own country. Reading a book with this subject matter at the same time as I’m reading daily news headlines about similar abuses of power which have occurred during my lifetime gave this book an immediacy not often present in historical novels. There are yet more delights in this novel including another strong appearance by Chief Inspector (and Dody’s love-interest) Matthew Pike, a chance to see some more of Dody and Florence’s unorthodox family and an unusual séance but I’m going to stop droning on and simply urge you to track down a copy of THE SCENT OF MURDER (and its two predecessors). Immediately if not sooner. 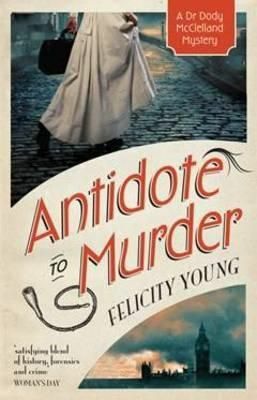 ANTIDOTE TO MURDER takes readers on a second visit to Edwardian England to catch up with Dorothy ‘Dody’ McCleland, the female autopsy surgeon we first met in A DISSECTION OF MURDER. Dody is once again working part time as an assistant to the Home Office’s famous pathologist Bernard Spilsbury but it is her other work, at women’s clinic, that is the source of her difficulties in this novel. A young maid who seeks Dody’s help with her unwanted pregnancy dies some days later and Dody is accused of performing an illegal abortion. With her career, her freedom and possibly her very life are at risk Dody must discover what did happen to the unfortunate young woman so she can clear her name and prevent further deaths. As with the first novel in this series the sense of time and place is beautifully conveyed. Readers are soon enveloped in the stifling, uncomfortable London of 1911 where the summer sees a long heat wave and various worker’s strikes (trains, rubbish collection and so on). In Dody’s well-off layer of society women fight for the right to vote and be treated equally in the workplace while poorer, working-class women struggle to be allowed to treat their bodies as their own as they carry the lion’s share of the fallout from pregnancies that society or finances deem unmanageable. Meanwhile, at a political level, there is great concern over the possible infiltration of England by German spies and swift action is demanded. When Dody is accused she discovers who her friends are, and aren’t. Her family, including her young and impetuous sister Florence, stand by her as does the policeman she met in the first novel, Matthew Pike. All three of these characters are nicely rounded and offer different insights on events as allowed by their ages, personal histories and genders. The potential romantic relationship between Dody and Matthew appears doomed at the start of the novel, when he disappears from the hospital before the knee operation that Dody has organised to repair his war wound can be carried out, but when events force the pair together again there seems to be hope they’ll work through the obstacles to their being together. I’m not sure how Young manages to find the time, or the pages, to offer these insights into place and people because there is a lot going on in the story and the suspense never stops building. Dody is more worried by what she learns about the dangerous ‘treatments’ being offered to poor women than she is about saving her own career as she seeks to uncover who is selling lead tablets (!) which could kill the young women who are simply desperate for a way out of their predicaments. At the same time she battles against a plagiarising colleague and tries to help a working class family who have more children than they can cope with, to the point there are accusations of infanticide. And I haven’t even mentioned Matthew’s undercover operation to draw out a possible spy working in a controversial musical theatre production. If you have even a vague interest in historical crime fiction I heartily recommend ANTIDOTE TO MURDER. It’s jam-packed with fascinating period details, well-drawn and memorable characters and is a ripper of a yarn to boot. You don’t have to have read the first in the series to make sense of this one but I can’t imagine why you wouldn’t to read them both. Immediately. At the turn of the twentieth century, London’s political climate is in turmoil, as women fight for the right to vote. Dody McCleland has her own battles to fight. 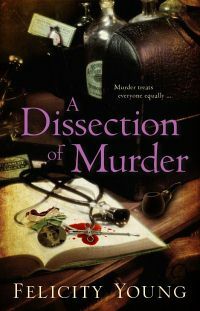 As England’s first female autopsy surgeon, she must prove herself as she proves that murder treats everyone equally. After a heated women’s rights rally turns violent, an innocent suffragette is found murdered. When she examines the body, Dody McCleland is shocked to realize that the victim was a friend of her sister – fuelling her determination to uncover the cause of the protestor’s suspicious death. especially Chief Detective Inspector Pike. Pike is looking to get to the bottom of this case but has a hard time trusting anyone-including Dody. Determined to earn Pike’s trust and to find the killer, Dody will have to sort through real and imagined secrets. But if she’s not careful, she may end up on her own examination table. The first of the Doctor Dody McCleland series, A DISSECTION OF MURDER (aka THE ANATOMY OF DEATH – US) was published in March (Australia/NZ) and will be published June (US with UK distribution) 2012. It will be available in all good bookshops as well as Amazon and Kindle. For Felicity Young this novel is a successful departure from her Australia-based police procedurals into the world of historical crime fiction. Felicity confesses that she has blended fictional characters with historical ones. I think she has done an excellent job of populating authentic settings with interesting and believable characters. She has captured the essence of the suffragette era that preceded the First World War, a world that was about to change forever. I certainly hope A DISSECTION OF MURDER is just the first in a long series. 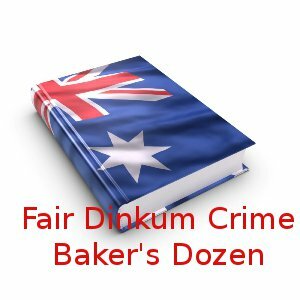 Another review on Fair Dinkum Crime. Historical crime fiction featuring strong female characters in roles their real-world counterparts might not have had the opportunity to participate in have become quite popular in recent years. 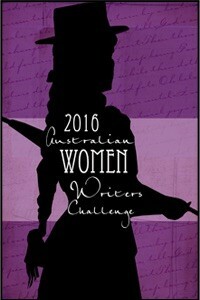 If this first instalment of a new series in this sub genre is anything to go by then Western Australian author Felicity Young’s name will soon be being mentioned in the same conversations and lists as genre luminaries like Ariana Franklin and Elizabeth Peters. At least this will be the case in my little corner of the universe. The book is set in the early 1900’s in England and introduces Dody McCleland, a young woman of means who has trained to become a doctor but because very few positions in the medical field are open to women she has had to make autopsy surgery her speciality. Even so she is struggling to secure a full time job in the field and volunteers her services doing ward rounds at a local hospital to pass time and maintain her skills. She does however receive some requests for her specialist services from the authorities but on one such occasion she is forced to refuse to perform the autopsy because the victim is a friend of her sister Florence. The woman died during a march by suffragettes and there is speculation that she was beaten by the police but when Dody withdraws from the autopsy a less qualified (and more alcoholic) doctor is bought in to prepare a report which obfuscates any possible role the police might have had in the woman’s death. Neither Dody nor her sister are impressed with this outcome and they embark on investigations of their own. Inspector Matthew Pike of the police is willing to weed out corruption if it exists within the ranks but he is stymied by a strained relationship with his superiors and so must make some unlikely alliances. He is not exactly a supporter of the women’s suffrage movement either so this provides for some extra tension. I loved meeting Dody McCleland. Although she is a strong woman fighting to be taken seriously in a male-dominated profession she isn’t as ardent or extreme in her behaviour as might be expected for this kind of book. While supporting the goals of the suffrage movement she leaves the militant activity of the WSPU* to her younger sister. She is able to see things from the point of view of the police as well as the activists and has a range of interests including advancing her career and learning all she can about the medical field. Although it’s only the first book in which she appears Dody felt more well-rounded to me than heroines of some similar stories who are often an ‘all or nothing’ kind of character with a very singular focus. Her sister provides a nice contrast to Dody but though more militant there are nuances to Florence’s character too and she does not always behave as one might expect of the impetuous younger sister. Matthew Pike is an equally intriguing and well-rounded character who I will enjoy getting to know in what I hope are many future instalments of this series. His sense of ethics has gotten him into strife more than once and is partially responsible for his almost impecunious state (though Young teases out the fact that then as now this also has a lot to do with the relatively paltry sum paid to the police given all that society expects of them). Although he is more concerned with propriety than the McCleland sisters he proves to be willing to bend the rules if situations demand it and he manages to keep his judgemental propensities in check most of the time. The setting for this novel is fascinating, not least because the historically accurate information included was incorporated in a very natural way. This did not diminish the impact of some aspects of the backdrop though, including the treatment of the women who went to prison due to their activities in the suffrage movement. The hunger strikes that many women prisoners embarked on with the aim of achieving equality of treatment for the suffragette prisoners regardless of their social class is a known fact but its depiction in this narrative, including the force-feeding of the hunger striking prisoners, really brings home the barbarism of the treatment and the bravery of the women who endured it. Other events from the period, including the hanging of Hawley Crippen which Dody witnesses as part of her official duties, lend a really authentic feel to the book. Finally there is the mystery itself which, although considered last here is by no means an insignificant part of this novel. Figuring out who killed Lady Catherine Cartwright requires the combined efforts of all the main characters and, of course, doesn’t happen before several wrong turns are taken by all and sundry. While I didn’t see the resolution coming until just before the big reveal it did fit in with the events that preceded it and so provided a very satisfactory completion to the story. I was quite beguiled by the mixture of compelling fictional characters, well-researched sense of time and place and inclusion of real figures from history in minor roles that were blended seamlessly in A DISSECTION OF MURDER. If you are even a little bit interested in historical crime fiction I highly recommend this novel. 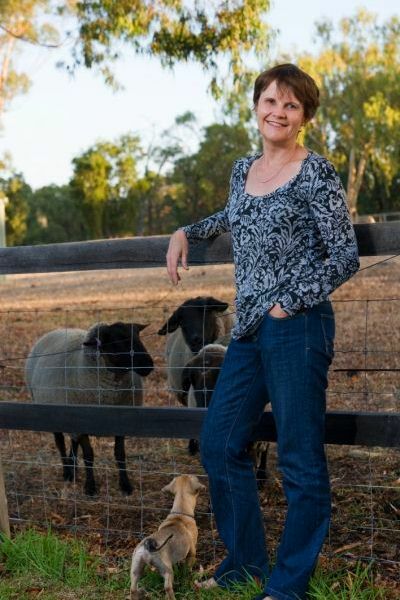 In the first instance of what we plan to make a regular feature here at Fair Dinkum Crime, Western Australian writer Felicity Young has agreed to respond to our version of an author interview. We’ve approached the author interview a little differently, trying to offer the authors (who we thought must get asked a few standard questions fairly frequently) the opportunity to share some of their lesser known secrets. Or not, it’s entirely up to them. We provide the authors with 13 beginnings and, like the creative geniuses they are, they turn them into sentences (or paragraphs, or full blown essays should the urge arise). I often wonder…What it would be like to be a man. Friends would describe me as… The best Johnny Cash impersonator in the district. I will never…travel without my tweezers again. My greatest fear is…Growing a beard. My worst job was…Sewing up the eyes of a corpse. The thing I hate most about being a writer is…The sore back from sitting. The last book I read was…The Janus Stone by Elly Griffiths. The next book I’ll write is…The third in my new historical mystery series. Thanks to Felicity for agreeing to play along with our new feature. I love her short but intriguing sentences; on reflection it seems only natural for a crime writer to incorporate an air of mystery into her responses. Am I the only one trying to picture what dire emergency a pair of tweezers might have averted? Perhaps it’s something to do with Felicity’s greatest fear. What I want to know immediately though is where are the first two books in the historical mystery series if Felicity is already writing the third? Felicity can be found online at her website where you’ll find more biographic details as well as information about the four books she’s published (so far). Here at Fair Dinkum Kerrie has posted reviews of two of Felicity’s books, A Certain Malice and Take Out to wet your appetites. 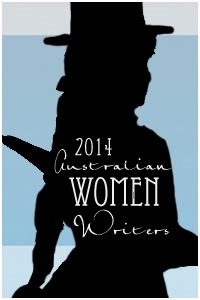 The Fair Dinkum Baker’s Dozen has been launched especially to celebrate Australian Authors Month which is a cross-genre celebration of Australian writing. 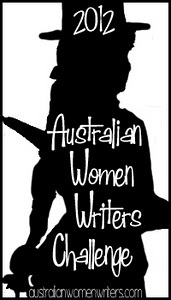 In addition to sharing reviews, author interviews, competitions and anything else relating to the writing and reading of works by Aussie authors the month is focused on raising awareness of the Indigenous Literacy Project (ILP). The ILP is a charity with the aim of raising literacy levels among Indigenous Australians in rural and remote communities and it works in partnership with the Australian Book Industry and the Fred Hollows Foundation. Many thanks to Fremantle Press for supplying the review copy. My abject apologies for taking 4 months to read and review it. Skye Williams is a district nurse and Stevie Hooper’s friend. Skye is visiting a stroke patient Lilly Hardegan who has become worried because her neighbours have disappeared. Stevie belongs to Perth’s Central Crime Squad and really shouldn’t be entering the house, but Skye has already tried unsuccessfully to get the local cops to take an interest. There are clear signs of what seems to have been a hasty departure – an unfinished meal, an overflowing mail box, and the stove is still on and contains the charred remains of apple pies. And then they make a discovery they had not expected. Mrs Hardegan lives next door with her son who is also absent. Her speech has been severely affected by a stroke, which makes communication difficult, particularly as she seems to be prone to make up her own words. Stevie feels that the local cops are not taking the case seriously enough and continues to take an interest even though she knows she should walk away. She has more than enough on her own plate – her husband Monty is due to have heart surgery any day now – but when Skye Williams is killed there is no way she can disconnect. I liked the way TAKE OUT is constructed. There are some threats that raise the level of tension in the book very effectively. There is Monty’s impending surgery, threats to Stevie herself and to her daughter Izzy, and a plot that involves a trade in bringing Thai girls into Australia illegally. There is an interesting device which gives Mrs Hardegan “a voice” that reveals her role in her neighbours’ disappearance. I’m not sure I understand what the title means and Young has to resort to a heightened level of coincidences to bring the plot strands together. Nevertheless TAKE OUT provided a satisfying read. 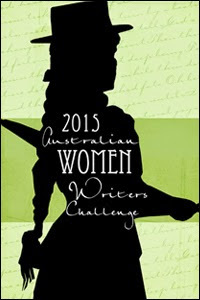 I’ve counted this in my Aussie Author challenge.